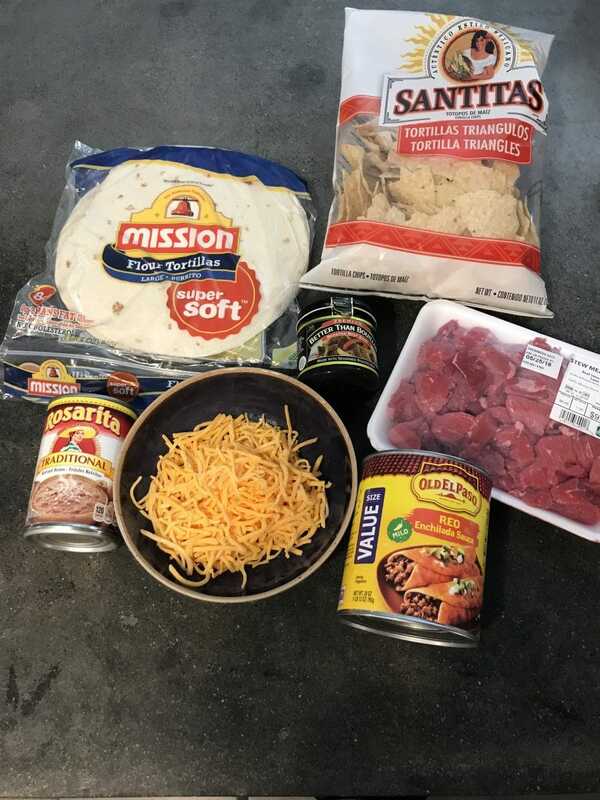 This is one of our favorite crock pot dinners converted for the beloved Instant Pot! And I'm so excited that now this meal is ready in under 30 minutes!!!!!! 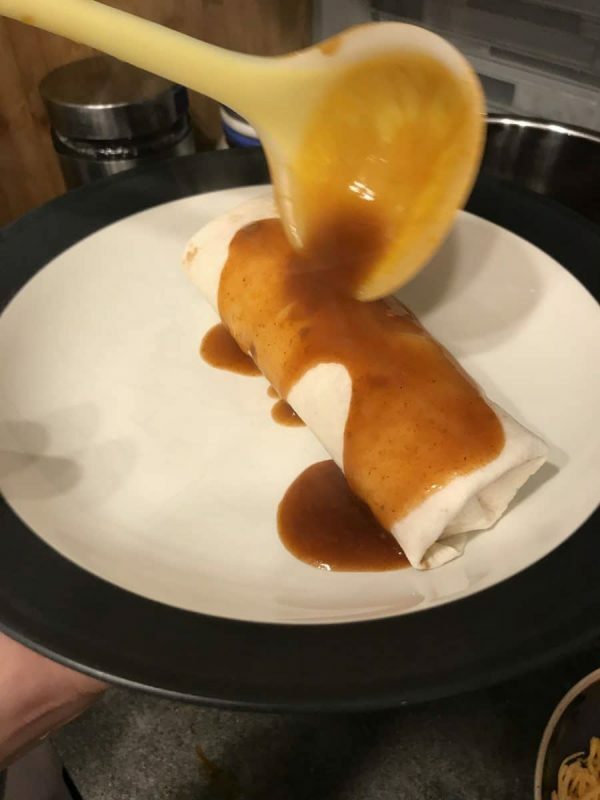 If you like "wet" burritos you will love this meal! turn your Instant Pot on to Saute and allow to heat up a minute. Add Oil and swish around, add meat. Allow the meat to brown, stirring frequently to brown all sides. Be sure to scrape up any bits on the bottom of the pot. Add bullion and enchilada sauce, stir and secure the lid Make sure the valve is set to seal and press pressure cook Adjust time to 12 minutes. This came to pressure in under 10 minutes because the pot is already hot. 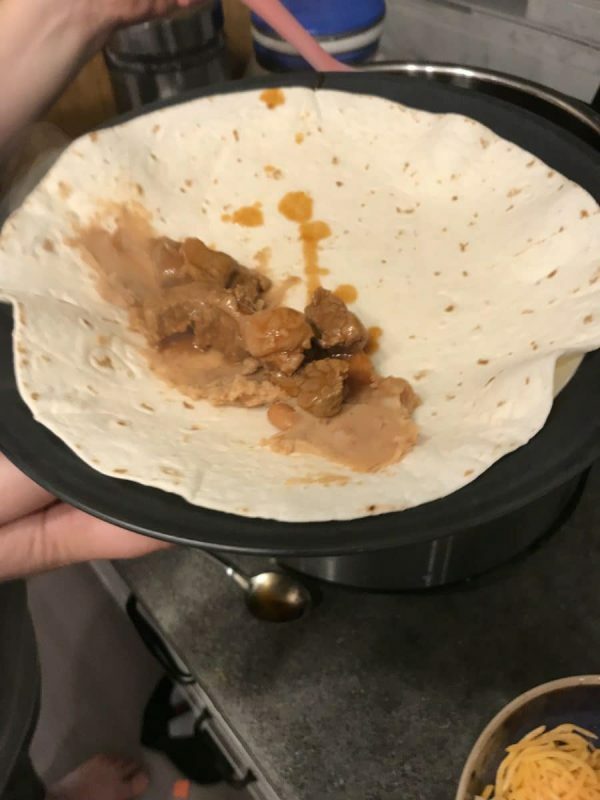 Place Tortillas on your plates ( I like deep dish plates for all that yummy sauce) Spoon some beans on each tortilla and a spoonful of meat roll up the tortilla. Pour sauce over the top and sprinkle with cheese. 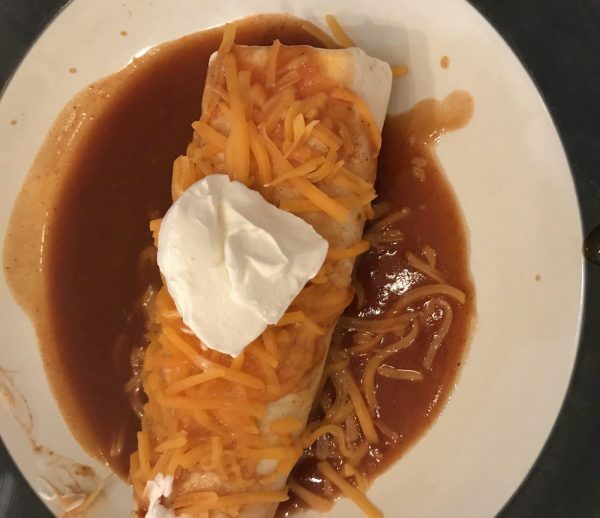 ( If you are making this right away the cheese will melt but if not, you can stick this under the broiler for a minute or two) We love to finish this off with a dollop of sour cream and dip tortilla chips in the sauce!